Pretty soon, the Samsung Galaxy S10+ will lose its position as the company's latest and greatest, which will pass on to the Galaxy S10 5G. The company officially confirmed that it's going to release its first 5G smartphone - which will also be the first in the industry - on April 5. Initially, the handset was supposed to go out this month but it was delayed. Even so, it will still be the first commercially available 5G-enabled smartphone. It will be made available in South Korea, which aims to be first country in the world with a working 5G network too. The Samsung Galaxy S10 5G will also launch in the US as Verizon exclusive initially. 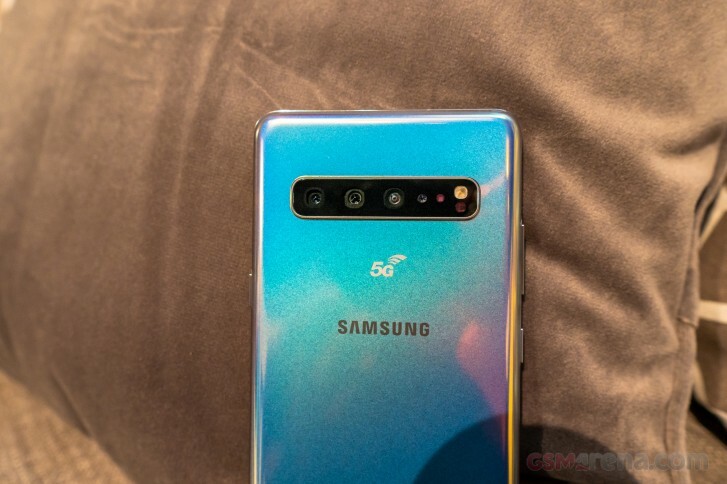 There won't be any pre-orders but customers purchasing the phone between April 5-16 will get free Galaxy buds, a wireless charger and 50% discount on one screen replacement within the first year. Verizon's 5G network is supposed to launch on April 11. So far, there's no word on pricing, but market analysts believe it will cost the equivalent $1,332 in South Korea so the US price will probably be in the same ballpark. Man thats sooner or later will be good 2-3 years and iit will be no more than 20-25% of G network coverage no more, in that time. And in time of 2-3 years even a midrangers for 200-300 bucks will have a 5G connectivity.